One of lauren's most treasured travel spots is Italy, where she says the people are warm and welcoming and the food is vegan-friendly. "I remember attending my first animal rights conference in 1988 and being so encouraged that ... I was not alone, and that I could dedicate my life in this direction of fighting for the oppressed." 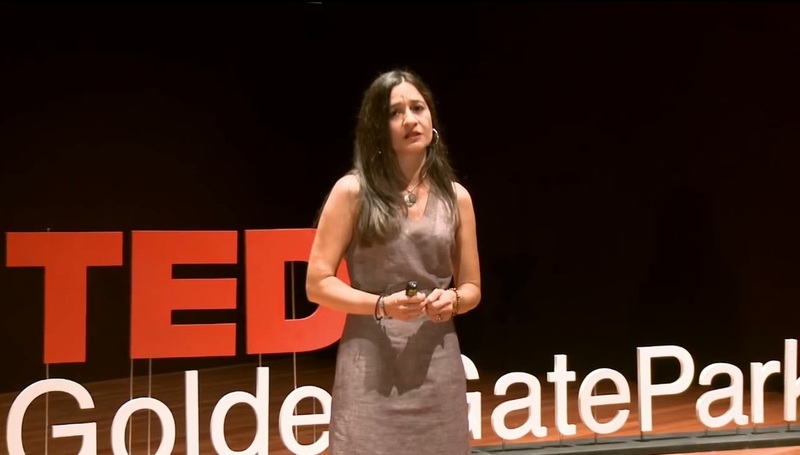 In 2013, lauren gave a rousing, powerful TEDx talk in San Francisco titled "The Power of Our Food Choices." The video has been watched by thousands on YouTube. "I very much love St. Francis and St. Claire. As many people know, St. Francis spoke out for the animals and against their abuse. St. Claire followed St. Francis, went vegetarian to honor him, and worked to help the poor." 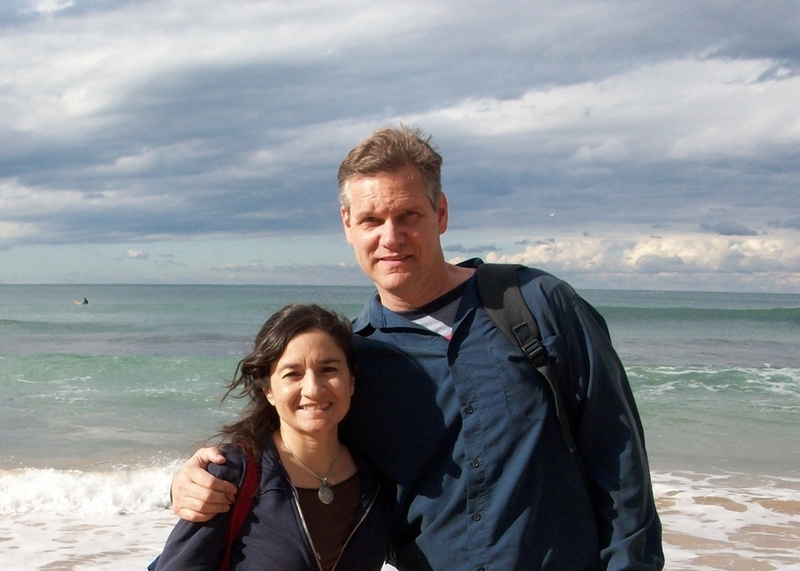 lauren and her husband, fellow animal advocate and author Mark Hawthorne, travel the world speaking at animal-rights and social-justice conferences. And sometimes, they even squeeze in a bit of beach time, as they did here in Australia. 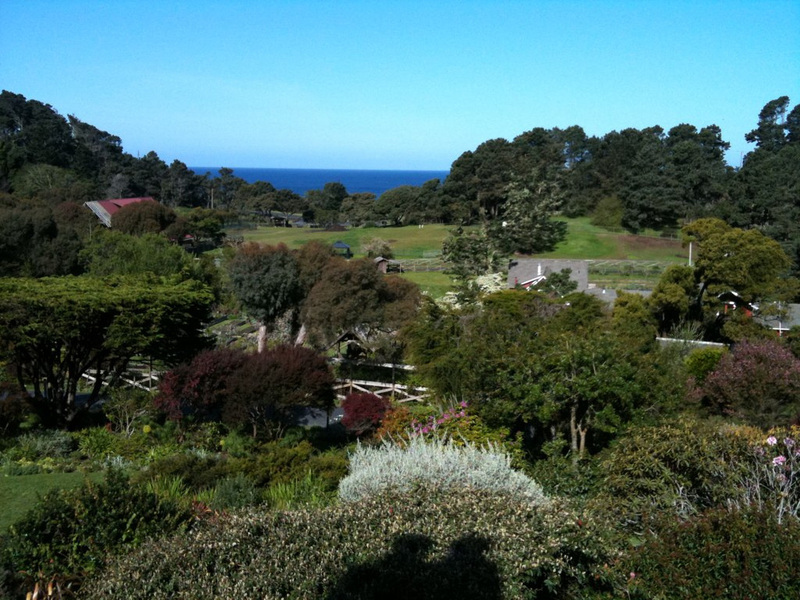 ... but she'd settle for a weekend with her sweetie at the Stanford Inn by the Sea, a vegan B & B in Mendocino, California. lauren Ornelas has been advocating for the defenseless for most of her life, founding her first animal rights group when she was still a student in high school, and later launching Viva!USA. Today, lauren's primary vehicle for spreading compassion and generally making the world a better place is her work as founder and executive director of the Food Empowerment Project, a non-profit that encourages all of us to consider making kinder food choices. Here, lauren opens up about her inspiring work and her dreams for the future. Was there a specific moment that you knew that championing for the underdog and encouraging kindness would become your life’s work? That’s a great question. I am not sure. I mean, getting involved in the anti-apartheid movement, boycotting grapes and going vegan when I was young just felt like what should be done. There was no question in my heart or mind that I had to do what I could to fight injustices. I do remember attending my first animal rights conference in 1988 and being so encouraged that I was not the only one who felt like I did; I was not alone and that I could dedicate my life in this direction of fighting for the oppressed. You’ve realized an achievement that many people dream of when you gave a TEDx talk presentation titled “The Power of Our Food Choices” in 2013. If you were invited back to do another talk and had to choose a new topic, what would you present? I would probably like to present on how food has been used as a tool for social change and why we must continue to wield it for justice. You are also the mastermind behind veganmexicanfood.com. What prompted you to develop this site, and what is your favorite recipe? As a Chicana it is very important for me that we have recipes available to our community to see how easy it is to veganize our foods. That is why it is translated into Spanish, like most of our website. Colonialism is what brought many animal products to our land. I don’t really cook (ha! ), but I think the bean recipe is one of my favorites, not only because beans are a staple and it is good to know how to make them from scratch, but also because it’s my brother-in-law’s recipe, and he makes them special for me around the holidays. Advocating for meaningful causes means pouring your soul into your job every day. Do you ever get stressed out? Yes, very much so. 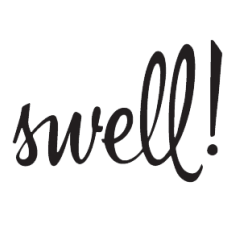 I think one of the ways I try to manage stress is to be very organized and to be more understanding of mistakes--my own as well as others’. I think that my coping strategies have evolved thanks to having more calm and positive people in my life as well as having had a boss who was very human, very laid-back, and patient. I finally had someone to learn that from. Any unhealthy habits you’d like to break? I don’t exercise. I can sit in front of my computer and work for 12+ hours and move very little. My husband exercises every day and yet if all the typing I did could constitute exercise I might be equal to him. If you had one free day and money was no object, what would that day look like? Money no object: Now that is a dream! I always feel that there are two of me. The me who wants to create change and would love to go meet people who I feel have done incredible work and learn from them. Then there is the me who would love to use that day to "escape the world." Clearly one day is not enough time to fly to Italy, so I would want Mark and I to spend the night at the Stanford Inn in Mendocino and be close to the ocean. Italy. I love going to see historic locations, the art, and, of course, the natural beauty. They do not treat me differently as a brown person, it is easy to eat vegan there, and the people are very friendly. 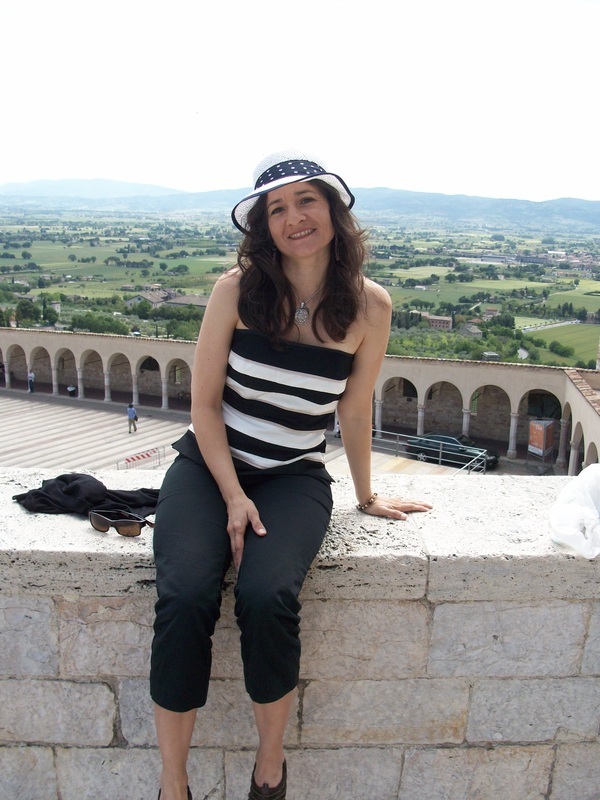 Assisi is an incredibly special place for me. I am not Catholic (though was raised as one for a short time), but I very much love St. Francis and St. Claire. As many people know, St. Francis spoke out for the animals and against their abuse. St. Claire followed St. Francis, went vegetarian to honor him, and worked to help the poor. These are two issues close to my heart and of Food Empowerment Project. Where in the world you are aching to visit? 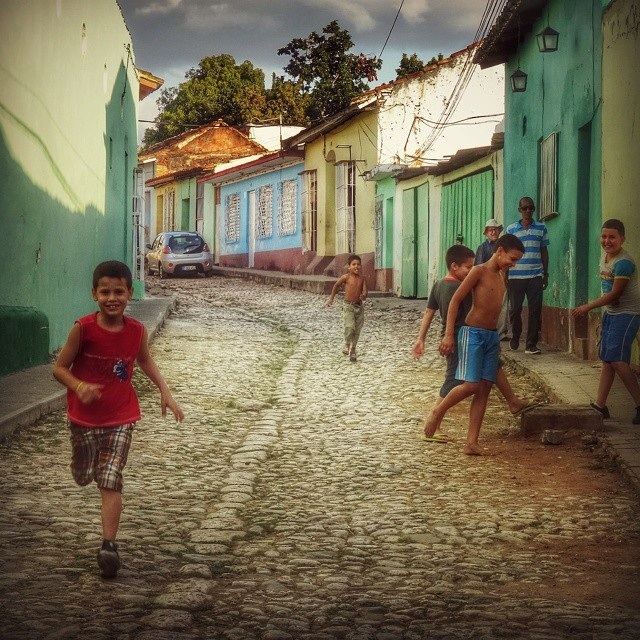 Cuba! Without a doubt! I would visit all of the places that I have read about in regard to the revolution: The Moncada Barracks, the Sierra Maestras, Santa Clara, and, of course, Havana! Are you faithful to any specific beauty products? The first time I was introduced to LUSH was when I was working with Viva!UK in Brighton before I started Viva!USA. But they primarily did soaps. Recently, with many ‘cruelty free’ companies starting to test on animals so they can sell in China, I had to find new products and, well, LUSH is now my favorite brand. I am not very good with skin products or makeup, but they have lots of vegan options and are not tested on animals--something they are proud of. Hard to pick between popcorn and French fries. What are some of your favorite indulgences, food-wise or otherwise? What's the last great book you read? Half of a Yellow Sun by Nigerian writer ﻿Chimamanda Ngozi Adichie﻿. People who are young at heart, meaning that no matter their chronological age, they are willing to learn and are open to new ideas and willing to make changes in their lives it will help others--human and non-human alike. What words of wisdom would you offer to another woman who dreams of making a difference in the world? I would tell her to stay true to herself, and that making a difference should not be made at the expense of herself or others. To not allow anyone to discourage her or feel less intelligent for expressing her passions. I'd also tell her she doesn’t need to be stark or stoic to be effective; she can speak from her heart and with sincerity and stand strong. Learn more about lauren's work at the Food Empowerment Project website, and watch her powerful TEDx Talk here.